Value for money – Used Tractor or a Brand New Tractor? Designed for the most effective composed farming, SOLIS Narrow Trac (NT) Series is equipped with synchromesh transmission that enables it to perform effectively, ensuring ease of operation as well as power productivity. The low turning radius of 3.6m is one of the specialities in its technology, which enables a wide array of tasks within minimum spaces. The three point CAT-II attachment and high lifting capacity of 2500 KG makes the SOLIS N series even more efficient and suitable even for wider spaces. Best suited for narrow farms such as vineyards and fruit orchards, SOLIS NT Series is currently available in two horse powers, i.e., 75 and 90 HP, and are named N75 and N90. An ideal fit for composed farming, the SOLIS N75 simplifies tasks such as spraying and orchard applications and provides exceptional support with its outstanding capability. Equipped with 4 cylinder turbo charged CRDi engine and creeper and standard gear options, N75 has the best in class functionality. 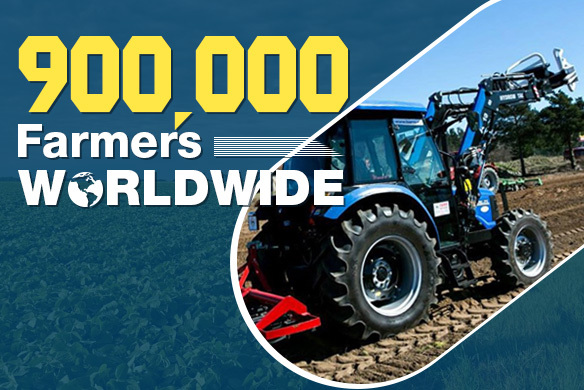 It has a rounded aerodynamic bonnet along with the overall width of the tractor of up-to 1358 mm which builds up on the tractor’s exceptional performance and a touch of perfection in narrow fields. The 2SA/ 2DA hydraulic circuit powers up its transmission speed and makes it all the more efficient. Available with a sleek and stylish bonnet, this tractor gives out an elegant look apart from actualizing the farmer’s dreams with its power. The power steering and competent strong built of the SOLIS N90 ensures ease of operation along with enhanced functionality. It is not only spacious, the N90 is equipped with a power steering which provides minimum turning radius, making tasks like mowing, mulching, soil management and crop protection applications much easier. The strong built as well as narrow façade adds to its stylish looks, which is just a complement to its toughness and utility for specialty applications. Ideal for vineyard and orchard farming, N90 too has a 4 cylinder turbo charged CRDi engine along with 2SA/ 2DA hydraulic circuit.